Aquarian'ism: While a long-running observation (and occasional meme) has been centered on J. Cole being boring, the Aquarian himself can't help but chuckle at the critique. As a deep thinker, he has an uncanny ability to look at the bigger pictureand identify a logical solution to whatever the problem at hand may be. This sign is attuned to both the world as it is and the future as it could be, making Aquarius a realist and an imaginative idealist all at once. Egos to the side may be easier said than done. But, Cole can see it and therefore he's advocating for it. 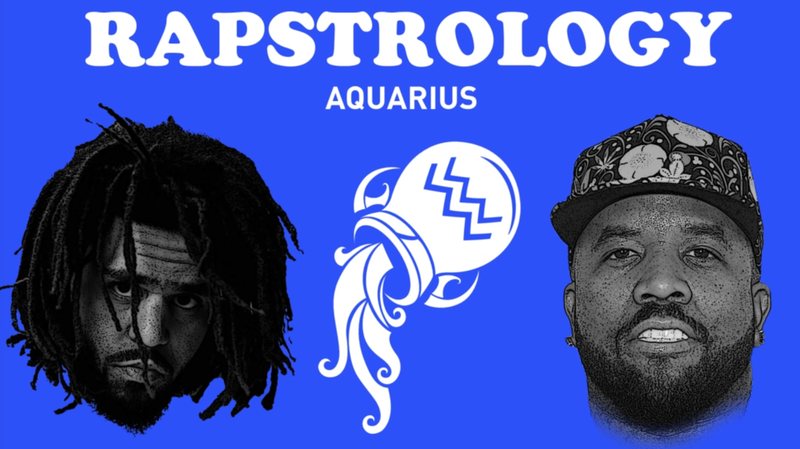 Aquarian'ism: The title track to this classic anthem is an absolute must when it comes to discussing rapstrology, the intersection of hip hop and astrology. While a college course could easily focus on the brilliance of the art and cultural influencethat these two air signs created together -- to keep it simple -- Aquarius and Gemini really do run it. Big Boi, the Aquarian of the pair; is a ruthless truth seeker, weaving his intelligence and ability to resonate with others into his rhymes. Together, he and André 3000 changed the rap game for the better, all while both respecting their paralleled differences and elevating one another's talents.